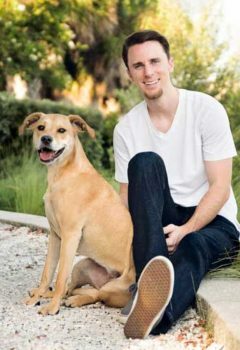 Matt Duffy began his professional baseball career with the San Francisco Giants, winning a World Series title in 2014 and finishing second in National League Rookie of the Year balloting in 2015. He was acquired by the Tampa Bay Rays in August 2016 and is currently the starting third baseman for the Rays. After the trade, he adopted his dog Dakota from Pet Pal Animal Shelter in St. Petersburg. When not playing fetch, Matt and Dakota enjoy hanging out on the couch and watching TV (baseball games, naturally).